Atami Bloombastic is the dazzling new all-round flowering booster that stimulates flowering, ripening and essential oil production like no other. Heralded as the Bling Bling for your plants, Bloombastic produces outstanding blooms with unparalleled aroma and size! Atami Bloombastic is one of the new generation of flowering boosters. 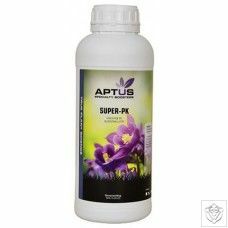 Bringing you everything extra, on top of your base nutrient, that your plants need for a startling flowering and ripening period. Biological minerals, stimulants and metabolic enhancers vastly enhance enzyme processes within the plant to produce huge, heavy blooms simply bursting with essential oils. Bloombastic also makes your plants less sensitive to environmental stress factors such as heat, dry air and high light intensity. Optimal amounts of extra phosphorous and potassium are included to feed the heightened blooming and ripening process. Use Atami Bloombastic for the last 4 weeks of the flowering phase through to the flush. 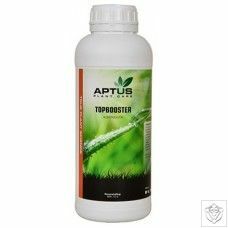 Do not use along with other PK-type boosters as this may (and probably will) cause over-fertilisation. Make up your nutrient solution as usual and add Atami Bloombastic at a rate of 0.5 to 1ml/litre. Adjust pH as necessary. Atami Bloombastic recommended dosage: 0.5-1.0ml/litre for the last 4 weeks of flowering through to the flush.